A delightful blog blitz to be taking part in today for an original and quirky book, The Convalescent Corpse by Nicola Slade. My thanks to Rachel Gilbey of Rachel’s Random Resources for inviting me to take part in the tour and to the author and publisher for my copy of the book, which I have reviewed honestly. 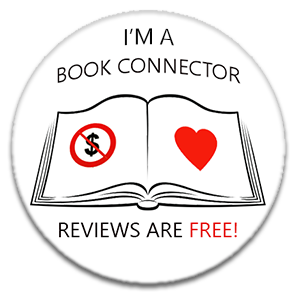 Please scroll down beneath the review to enter a lovely giveaway. The blurb of this book gives you a truly delicious taste of what is in store in this cosy crime novel with a difference. Set during World War I, it centres around the lives of the three Fyttleton sisters who are doing their best to cope with life on the home front after the disappearance of their father who went down with the Lusitania, and the recent loss of their brother on the Western Front. Their mother is a famous, reclusive author who is neither use nor ornament as a parent, so they can only rely on each other and their ageing but sprightly grandmother, who is a minor aristocrat. The narrator is the middle sister, Christabel, who is the stalwart holding the family together whilst scribbling stories on the side to make a few pennies. Christabel is a girl after my own heart and I identified with her immediately. There was a particular line in the book which really touched me as she talks about feeling old beyond her years because she always has to be the sensible one, which exactly describes my role in our family of four girls. Anyway, the girls become heavily involved when a convalescent home for wounded soldiers opens nearby as they take in their families as lodgers whilst they visit their wounded relatives and find themselves in the middle of a mystery linked to the home. The mystery aspect of the story is interesting, if not a little confusing at times, but it was not the main draw of this book for me. What I really loved was the insight into what life was like for the families left behind in England to make ends meet while all the menfolk went off to war in Europe, many to never come back. This is not a period of history I usually choose to read about, as I find it harrowing and immensely depressing, but this is a book that covers it in a light but still truthful and meaningful way which I found very appealing and illuminating. A wartime novel for people who don’t like to read about war. The other attractive thing about this book are the characters. The three sisters are all individual and different, with their own motivations and desires, but present a tight knit unit which, as one of four girls, I found realistic and heartwarming. The remainder of the family are charmingly eccentric and riveting. Add in a range of pets with personality and it is a household full of appeal. The surrounding village, the lodgers and the servicemen up at the home add further layers of interest and intrigue. For a gentle mystery, there is a lot going on in this book! This book was a charming and pleasing surprise. I thoroughly enjoyed the gentle hours I spent between its pages and, once I was finished, I found the characters and story had wormed their way into my heart. The book leaves the door open for more stories featuring these fascinating folk and I sincerely hope that I will be able to find out what happens next to Christabel, Henry and the rest of the Fyttleton family. The Convalescent Corpse is out now and you can get your copy here. Delighted to be taking part in the blog blitz today for Christmas at Black Cherry Retreat by Angela Britnell. My thanks to Rachel Gilbey at Rachel’s Random Resources for inviting me to take part and to Choc Lit for my copy of the book, which I have reviewed honestly and impartially. I knew this was going to be a Christmas book with a difference when I picked it up, as it is not set in the UK, but in a remote town in Eastern Tennessee, not a standard setting for a Christmas novel. However, this book is actually not particularly a Christmas-centric story at all, given that it starts around Halloween and focuses on this, and Thanksgiving, rather than just Christmas. However, this does not stop it being a good book in any way. We meet Fee just as she is arriving at the remote Black Cherry Retreat as Fall has taken hold in the mountains of Tennessee. Fee is running away from horrors in her past an is looking for solitude and isolation to try and heal herself. However, she is immediately drawn to Tom Chambers, a retired police officer who owns Black Cherry Retreat and who has reasons of his own for withdrawing to his remote cabin. The story then focuses on the development of the relationship between this two reluctant characters. I really loved the setting of this book. It was somewhere very different and the author does a fantastic job of bringing the setting to vivid life with her descriptions. I defy anyone reading this book not to wish they could spend a month or two there with nothing for company but some books, a deer or two and a hunky Tennessean man! I really enjoyed the descriptions of the little town of Pine Ridge and the close knit community there, most of whom Tom is related to. Which brings us neatly to the characters who are all delightful. I was very drawn to both Fee and Tom and fascinated by their burgeoning relationship, hampered as it was by their pasts. Fee, in particular, seems to be a mass of contradictions and the author has done very well to develop a really interesting character in Fee. The subsidiary characters are a lovely bunch, particularly little Lulu, and added great charm to the story. Although this book does not focus particularly heavily on Christmas as a theme, despite the title, it includes great descriptions of various holiday events which gives it a lovely, warm, festive feeling and I am sure anyone looking for a seasonal read will not be disappointed. It also includes a little mystery element, which was a nice sub-plot, and gave the book extra interest for me. All in all, a rewarding read. I could actually envisage this book making a great Hallmark movie, albeit one with a slightly deeper twist than some of the very twee, fluffy ones you see, so if that is the kind of thing you like, this will be right up your street. Christmas at Black Cherry Retreat is out now and is available here.